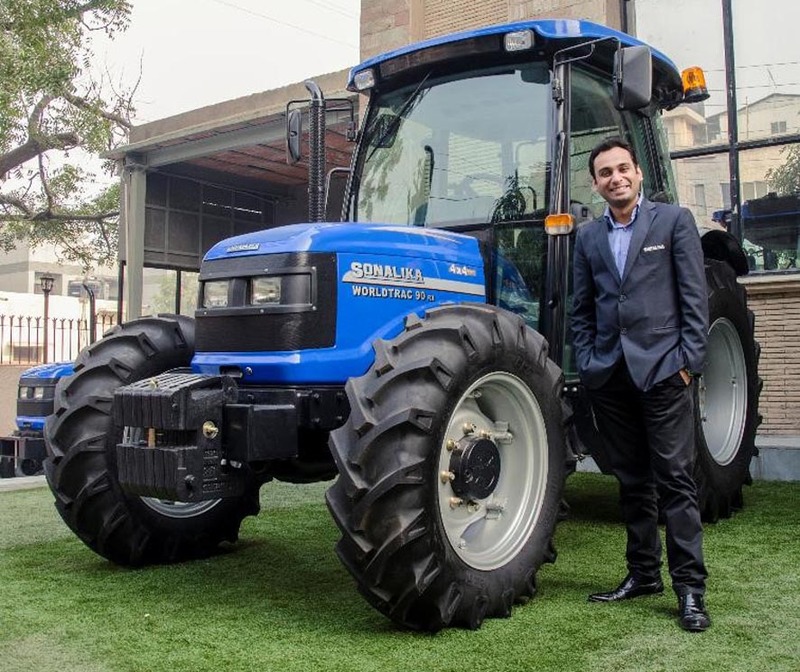 India’s youngest and debt-free tractor brand, Sonalika International Tractors Ltd. (ITL), which has built the world’s No.1 largest integrated tractor manufacturing plant in Hoshiarpur created history by recording highest-ever annual sales of 1 lakh tractors in a short span of time registering an overall growth of 22%. The company has recorded a robust growth of 56% in the Q4 FY’18, surpassing the industry growth. In March, the company has registered phenomenal growth of 80%, with the total sales of 12,791 tractors. Commenting on this dream come true milestone, Mr. Raman Mittal, Executive Director, Sonalika ITL, stated: “In FY’13, when we sold 50,853 tractors, we set a vision for ourselves to achieve the 1 lakh milestone by FY’18. To achieve this dream we kept farmers at the center point. We started making customized products best suited for every State, every type of soil conditions and multiple applications like puddling, orchard farming, potato farming, rotavator, cultivator and many more. It was a simple objective but required very complex solution, it meant having more than 1000+ variants with most advanced technology at a competitive price which has resulted in widest product range from 20-120HP. Speaking of the company’s future plans and industry outlook, Mr. Mittal commented: “Our focus across all geographies has led us to be one of the leaders across States as well as presence over 100 countries with leadership in 4 countries. We will continue to strengthen our presence in Europe and the US markets with advanced tractors meeting the stringent emission norms. All this have been achieved on the backdrop of simple belief of providing best solutions to the farmer and be a partner in his economic growth. “We have launched new range of Sikander tractors and will be soon launching technologically advanced new series of next generation tractors meeting all future norms. We shall continue to invest in strengthening our technology platform to offer customized farming solutions.